Two of London's most prestigious fine art galleries have seen UK visitor numbers fall significantly over the last five years, official figures show. A few days ago, the Department for Culture, Media and Sport (DCMS) sent out a press release stating: "Latest statistics for Government-sponsored museums show two million more visits were made than previous year." Its statistics reveal that 49 million visits were made in 2013/14 to the 16 national galleries and museums the DCMS directly funds, which represents a 4% increase on the previous year, and a record high since the data was first published in 2002/03. On the face of it, the figures appear to confirm a continuation of the upward trajectory in visitor numbers that its sponsored institutions have enjoyed for over a decade. But look beneath the surface and a slightly different picture emerges. Much of the boom in attendance is actually being driven by overseas tourists, with domestic visitors generally growing at a much slower rate. And, in the case of The National Gallery and The Tate Galleries, UK visits have actually dropped by a conspicuous 20% since 2008/09. The Tate has lost around a million domestic visitors in the last six years, dropping from a high of 4.5 million in 2008/09 to 3.55 million last year. The National Gallery has seen its domestic visits fall by more than half a million, from 2.9 million in 08/09 to 2.3 million last year. Neither institution was able to identify the reason for the drop, nor appeared aware of the fact it had occurred when questioned by the BBC. 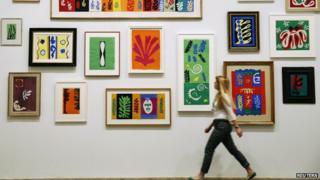 Having given the matter some thought, the Tate said its figures fluctuate and that it was unable to account for the high number of domestic visitors six years ago. The gallery said its overall audience had fallen and along with it the number of domestic visitors it receives. However, the Tate accepts that UK visitors now account for only 50% of its total audience, whereas they represented 60% when the overall figure was higher. Why, though, is it that only the fine art institutions are seeing this marked fall, while The British Museum, V&A and Natural History Museum are enjoying increases in both domestic and overseas visitors? The National Gallery thought it could be to do with the UK's "event" culture, whereby the British public will only appear for major exhibitions, which they have to pay for, as opposed to visiting their permanent collections for free. If that is indeed the case, perhaps one reason might be the amount of money the institutions' marketing departments spend promoting special exhibitions that come with a ticket price attached, compared with the budget to advertise the free-to-view collections. I went to the British Museum to ask some of its UK-based visitors why they had chosen to go there instead of either the National Gallery or Tate. I was told by nearly all of those to whom I spoke that the British Museum was a more accessible, child-friendly museum, which had a collection that told a rich historical story and related directly to the school curriculum. What can the National Gallery and the Tate do to regain those hundreds of thousands of domestic visitors that they have lost? No doubt they will come up with a plan - part of which could be a commitment to make it a priority to remind us all about the world-class art they hold on our behalf, and which is available for us to see for free seven days a week. Update: 9 March, 2015: The DCMS says it has made "changes and improvements" to the way it counts visitors to UK art galleries. As a result, it says, the number of UK visitors may have been "over-estimated" in the 2008/09 figures. Video Why are more of us visiting art galleries?